Good credit is a must for getting loans at favorable terms and conditions. 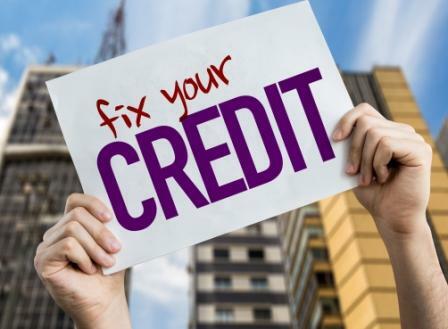 Can you repair your credit? How can you do that and why? If an individual wants to be trusted by lenders, they need to have good credit (If you don’t have credit, read how to get a credit card with no credit history). Good credit will increase a borrower’s credit rating, which automatically means that they can take out loans in much more favorable terms and conditions. No one will give money to people with a proven record of late or even missing payments. What’s done is done. Can you repair your credit? How can you do that and why? Every single individual with a loan has a credit history. Credit reporting agencies (the most known are Equifax, Experian, and TransUnion) collect data regarding your payment history and prepare credit reports. Late payments, default on loans or credit cards, foreclosure will affect negatively a person’s credit. This information will later be used to calculate your credit score rating. 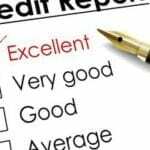 Bad credit will make lenders wary and cautious. Most probably, if they give you a loan (For example an FHA loan), the interest rate will be higher than if you had a good credit rating. Sometimes even insurance companies look at an individual’s credit history to determine how much interest to charge when the client application for any kind of life insurance). Utilities can also be interested in one’s credit – if it’s bad, they might force you to pay a security deposit. Unfortunately, even potential employers check applicants’ credit history to decide whether they are trustworthy or not. As you can see, the scale is beyond your monthly payments or interest rate (See how to reduce your credit interest rate). Certainly, if you have missed out payments or delayed them, this will affect your credit. Also, you can use your credit score rating to grasp an idea of what’s happening. Even though credit history is just a part of calculating your credit score, a rating below 620 is considered a bad credit rating. There are several reasons to consider rebuilding your credit history. To start with, the conditions on new loans will never be the same. No lender will be happy about a low credit score (See how to find the best lender). In addition, improved credit might help you find more job opportunities, receive a pay rise or a promotion. In spite of that, there are couple of ways to improve your credit and make your chances to get a loan higher. Before you take on any actions, it will be good for you if get copies of your credit reports. There you will find all the “ops” and mistakes you have made which have led to lower credit rating. Under the FACTA (Fair and Accurate Credit Transactions Act of 2003), all three credit agencies should provide annually a free credit report. Once you have the reports, examine them thoroughly. It’s necessary to check all the information regardless of the report’s size. Sometimes it could be really long if you have a continuous credit history. It’s not impossible to find mistakes in your reports. Perhaps there is incorrect information, inaccurate late payments or someone else’s accounts included. Should you find any errors in your reports, you have the right to dispute them. To start with, all reports give the owner instructions how to dispute incorrect information. You can do it either online or by mail or phone. Make sure to include a copy of your report. If the dispute is approved, the credit bureaus will make any necessary changes, therefore your credit will be revised. To have bad credit means you are not the most diligent of payers. Try to make all your payments on time since this is the most important factor when determining your credit score. In case you have a bad memory, you can subscribe to your lender and they will send you an email to remind you of your upcoming payments. Another option is to use automatic ones. When the time comes, the lender will automatically take the money from your bank account. Since credit history is the most important factor when determining your credit score, try to fix all the payments which are overdue. Pay them as soon as possible and don’t wait for them to be “charged-off” or sent to collecting agencies. If you want to improve bad credit history, one way to do it is to reduce the amount of debt you owe. This step is really challenging since most people lack good financial management skills. This is why they have a bad credit history in the first place. The ratio between total debt and total credit is the second most important factor contributing to determining your credit score. Another thing to keep in mind is your balance transfers – the higher, the worse for your credit rating. Start with maxed out credit cards since they can seriously damage your credit. Lower the amount under the credit limit. Usually, 10% to 30% balance of the credit limit is considered good. It’s important for people to have a clear credit history and a good credit rating. It will give them the chance to take out loans on better terms.In the long-run, this comes in handy because it can save a hefty amount of money. The most important thing is to avoid having a bad credit score. If you already have, there are many things you can do to repair it. To start with, change your attitude and habits and use some of the tips in the article. They work!